Aamir khan new TV show on Star plus is called Satyameva Jayate,Through this show we understand the problem of the people, we are not here to make a change. I am no one to change anything. I don't think I am in the position to. I feel understanding a problem and feeling it or holding one's hand or hugging is also important. I may not have the solution, but at least I can hear and understand," Aamir said after unveiling the first promotional song of the show here. 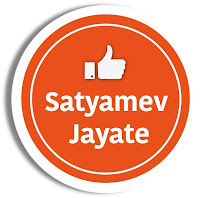 You can support this show by wear the Satyamev Jayate Badge on your Facebook profile. It is very easy. 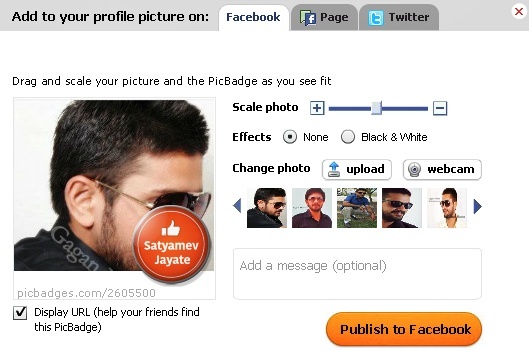 This tutorial will guide you "How To Wear The Satyamev Jayate Badge On Your Facebook Profile". You can use widget also on your blog or websites also. Note - You Can Add This Badge On Your Facebook Pages or On Twitter Account Pic Also. You will be redirected now to your Facebook account. 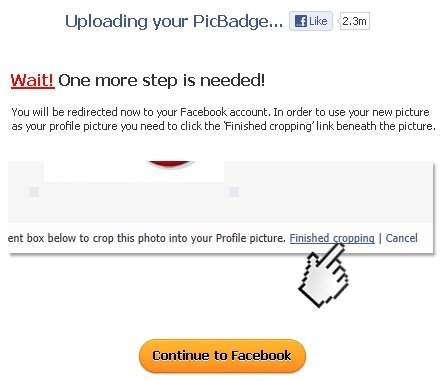 In order to use your new picture as your profile picture you need to click the "Finished Cropping" link beneath the picture. As you seen in image below. 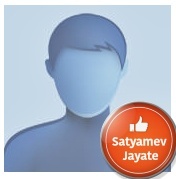 It;s Done, You Have Added Satyamev Jayate Badge On Your Facebook Profile Successfully! Show off your pride. Show that you stand for truth.Sport the Satyamev Jayate badge on your profile pic.If you need any help, ask via comments please. Keep in touch for more tutorials.